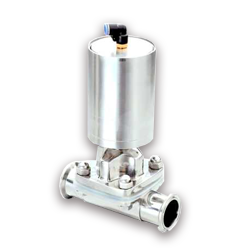 PARTH VALVES AND HOSES LLP is pleased to offer top-of-the-line products in pipeline flow control. 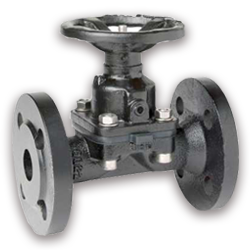 The PARTH VALVES AND HOSES‘s Diaphragm Valves have been developed with extensive application, design and manufacturing expertise. These products are produced by employing modern manufacturing practices under a robust quality assurance system. These practices ensure consistent product quality and dependable performance. The PARTH VALVE AND HOSES‘s Diaphragm Valves have been designed to include state-of-the-art features that are described in this bulletin. Temperature Rating : 80 degree to 180 degree. Special Service : almost all PARTH VALVES AND HOSES can designs in a special version as per customer’s Requirements. In this case, all the material details and technical features are given by the Customer & all Design aspects from us. Self-draining & Entrapment free design. Gland less isolating type top entry construction. 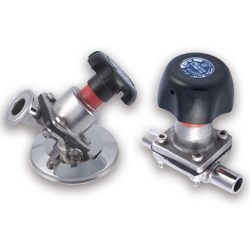 Diaphragm valves are recognized by the pharmaceutical industry as the only & truly aseptic valve. This is the only design that provides cavity free surface finish in real sense. 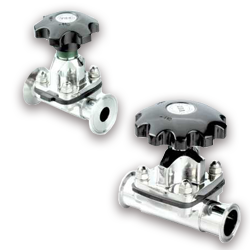 These valves are available in manually and pneumatically operated also.